1. What is the date for the Don the Beachcomber Mai Tai Festival? 2. 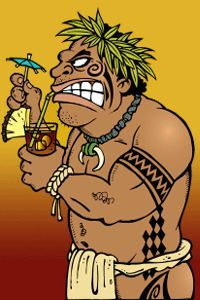 Where is the Don the Beachcomber Mai Tai Festival? 3. Can my children attend the event? The event is open to all ages, however we do ask that you keep your children with you at all times. 4. 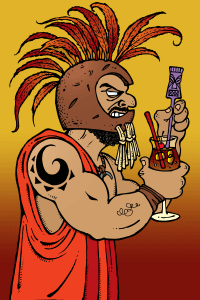 Do we get to taste the Mai Tais being judged at the festival? Per liquor laws we are unable to provide free drinks or tasters of the Mai Tais being prepared for judging; however there will be plenty of Mai Tais available for sale including the winning Mai Tai creations from previous festivals. 5. Will there be food served at the Mai Tai Festival? Yes! This event is delicious. Sampler plates will be available for purchase at the Battle of the BBQ plus ice cream, kettle corn and more. During the pool party and Mai Tai Mix off Royal Kona Resort will have food booths with a variety of items available for purchase. 6. Can I use my credit card at the Festival? All food and beverage purchases will be made by scrip. Scrip sales booths will be located throughout the property. Some of these booths will accept credit cards. There will also be ATMs on property. 7. Are there rooms available for the Festival? Yes, the Rooms page has all the information or call 800-22-ALOHA (222-5642) to make reservations. 8. How do I participate as a vendor and/or restaurant at the Mai Tai Marketplace? Please visit the Participate page for more information on how to register as a vendor and/or restaurant at the event. 9. I am NOT a bartender; can I enter the contest for World's Best Mai Tai? Our contest is limited to working bartenders representing their establishment.